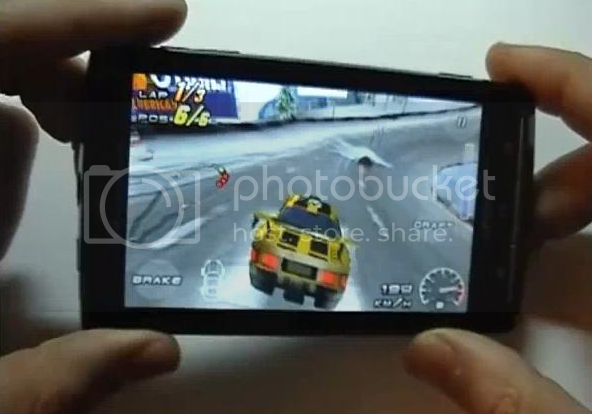 One of the biggest advantages of the Xperia X10’s gorgeous 4-inch display is how well suited it is to media and games. PocketPC.ch has two great videos where they show off a number of games on the handset. It’s nice to see how well these games play, with little or no lag, even for the 3D titles. Obviously that 1GHz Snapdragon processor comes in very handy here. All of the games profiled can be downloaded on the Android market. We’ve attached both videos below, the first includes Air Control, Blocked Stone, Cestos, CopyCat Free, Fire Helicopter, Graviturn, Grid Droid. The second video includes Shoot U!, Toss It: Preview, Armageddon Squadron, Labyrinth, Play! Curling, Raging Thunder 2, Abduction! Check them out after the cut. The games look really good and fun! I wonder how do i attach games into my phone and install it? when i put games into my phone i cant find them. yeah, how do you put the games into the phone? mine doesnt show up..
Yeah. Plz tell me. I found no game on the android market. Even though i found some games on other apps, such as “hot apps”, it does not work.When i select thegame a message pops up – “Required item could not be found”. Plz help me. . .
1. Go to Settings -> Applications and tick the “Unknown Sources” box. 2. Download a file manager, I recommend Astro File Manager. From Astro, you can navigate to where you saved the .apk, and install from there. But if the game is already on the Market, I don’t know why you would want to do it this way. i hav downloaded gangstar game .apk file and its rar files..hav installed it but when i open the game it says that external memory needs to be downloaded but i do hav rar files in the sd card…can any 1 help me how to instal these types of games in my xperia x10.